Ms. Perez graduated from St. Thomas University School of Law in May of 2004. Ms. Perez practices exclusively in the area of family law. 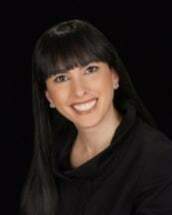 She is a member of the Family Law Section of the Florida Bar and has been selected to Rising Starts since 2012. Ms. Perez is well versed in the areas of family law, including paternity actions, child support, parental responsibility, timesharing, dissolution of marriage, alimony, and equitable distribution of assets and liabilities. Ms. Perez is a dedicated attorney who has obtained many favorable results for her clients. She has had the benefit of settling numerous cases in addition to conducting trials. Ms. Perez is also a Florida Supreme court certified family mediator and parenting coordinator.